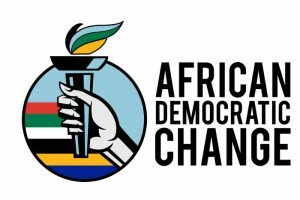 The African Democratic Change party (ADeC – yes, that is their typographical preference) was originally launched in December 2017 by Makhosi Khoza after she left the ANC, but Khoza resigned from the party four months later. It is now helmed by apartheid-era unionist and former ANC MP Dr Moses Mayekiso. A non-racial party built on “the philosophy of Ubuntu”, ADeC believes land expropriation should be funded with reparations from the nations which colonised South Africa. On 1 and 2 December 2017, sixteen civil society formations and numerous individuals broke away from various political parties representing all nine South African provinces and gathered at the Maths Centre in Braamfontein, Johannesburg (Gauteng Province) to charter a new way forward for South Africa. These predominantly young South Africans were all tired of watching their country being led by an immoral, unethical and corrupt leadership. They vowed to defend their hard-earned unity, democracy and the legacy of their liberators, thus resolving to create a new political home for all South Africans irrespective of their racial, ethnic, religious and cultural groups. That marked the birth of the African Democratic Change (ADeC). ADeC is registered as a political party at the IEC for the purposes of giving civilians and representatives from all sectors of civil society a platform to directly elect their constituency representative in government from a national and provincial level. While this new political model has not been implemented before in South Africa, ADeC believes that there is a desperate need for change in the current political landscape. Create an inclusive, non-racialized South African identity, premised on the philosophy of UBUNTU, that binds the diverse people of our country towards a common vision that safeguards democracy and human rights for sustained equality, peace and prosperity. Create a society where all people have the means and skills to fulfil their potential in a manner that fosters collaboration and installs dignity. This equates to ensuring the development of quality education and skills that are responsive to the needs of our economy. Furthermore, a transformed society where our youth and women receive the opportunities and respect they deserve. Create a capable South African state that is governed by moral, ethical and transparent leadership which engages its people and demands accountability which sets the precedence for good governance and innovation within Africa and the broader international community.